Just as they did prior to the release of the Archive Collection editions of Venus and Mars and Wings At The Speed of Sound last year, Paul McCartney’s website has begun to issue some promotional free download tracks which won’t be on the forthcoming reissues of Tug of War and Pipes of Peace. The first is an exclusive free download of Paul’s ‘Take It Away [Single Edit] (2015 Reissue)’. 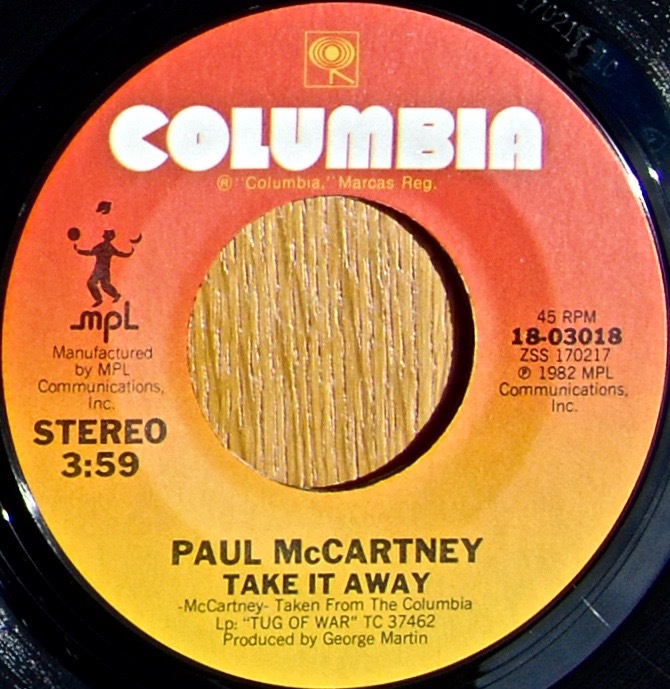 The track does not feature on the remastered Tug of War reissue and is only available as a download through PaulMcCartney.com (you’ll need to register on the site and give your email address to get access). The B-side to the single, ‘I’ll Give You a Ring’, will be included as part of the re-issued Tug of War – which is due out in early October. Uncut magazine is also saying they have the Soundcloud file to listen to, but we can’t see it on their page anywhere…..maybe they’ll rectify that soon. 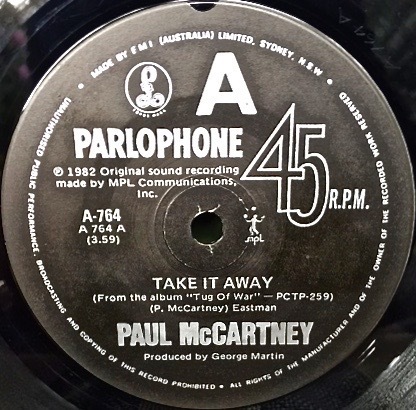 This entry was posted in Beatles, Beatles Collecting, Beatles Music, Parlophone Records, Paul McCartney and tagged Beatles, Beatles Collecting, Columbia, Free Download, Parlophone Records, Paul McCartney, Tug of War by beatlesblogger. Bookmark the permalink.